bending as part of the magic. 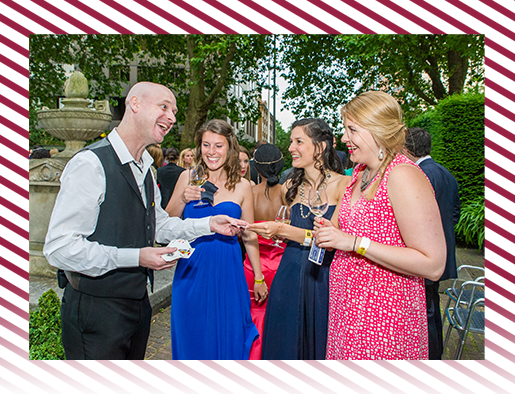 provides exciting magic to clients throughout London.  Looking for a Wedding Magician to keep your guests entertained and amazed... Book Vince Spade. Do you have a corporate event soon and need something different to increase leads or sales, speak to Vince today. Look at Vince's extensive image and video gallery to see him performing at venues all over the world.  Vince adds slick, exciting and varied magic to your event. There are many magicians around, but some add a lot more than amazing magic to an event or party. Vince Spade knows how important your guests are, and makes sure they are entertained and made to feel special. Vince has public liability insurance of £10,000,000. Vince has performed in 35 countries over a career spanning 2 decades in the entertainment industry. All styles from sleight of hand card magic, to coin bending, iphone magic and amazing mind reading and prediction effects. 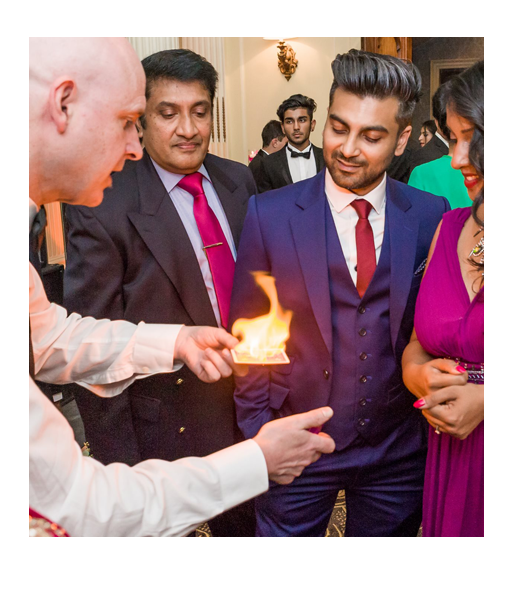 With experience in everything from close-up to stage magic you can expect a top notch, up to the minute performance that will both amaze and delight, making Vince Spade the perfect entertainment at all occasions from parties and weddings to corporate events.